Revivals are an integral part of evangelical and charismatic Christianity, but the idea of what makes for revival is undergoing strain as evangelicalism grows more diverse and has less of a public presence in American society. 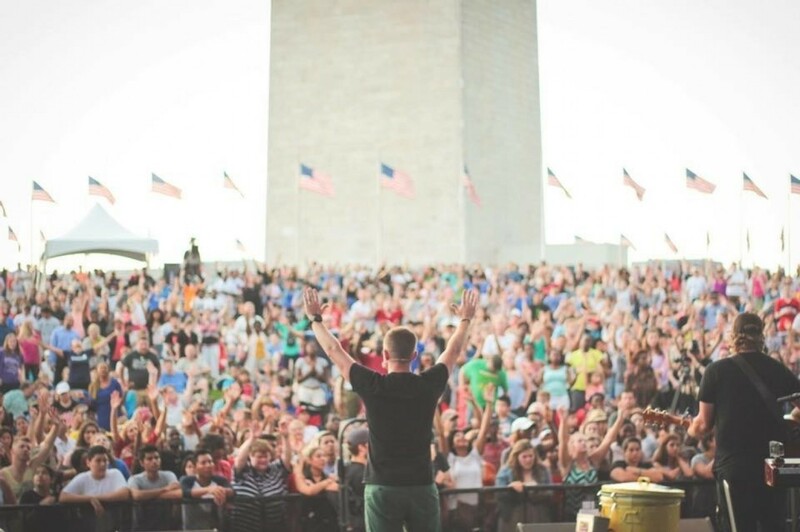 In the Washington Post (July 13), Michelle Bornstein reports on one of the largest modern day revival events, Together, which gathered thousands of evangelicals at the Washington Monument and had “heavy social media branding, major music from hip-hop to folktronica to hard rock, and popular evangelists who know to keep their messages TED-talk short.” The event was the brainchild of 34-year-old evangelist Nick Hall, who wanted to bring together evangelicals in a public venue, just as Billy Graham crusades had done in the past. But today such a gathering had to deal with contemporary quandaries, such as how it would reflect evangelicals’ ethnic and theological diversity and the growing leadership role of evangelical women; whether Catholics, even such a prominent one as Pope Francis, should participate (the pontiff spoke to the crowd via a video connection); and, more pertinently, whether this public presence of evangelicals would advance evangelism or Christian influence. Bornstein reports that about half of the speakers for Together are non-white and one-third are women. Bornstein cites church growth specialist Ed Stetzer as saying that Together is not like the Graham crusades in that the latter emphasizes its mission to convert non-Christians while the Washington event appealed to Christians for the need to be “reenergized and refocused.” The ways in which revival can mean different things to different Christians and has become decentralized is evident in the July issue of Charisma magazine, which is devoted to reports on recent outbreaks of revival in the U.S. and Latin America.